Railroad Crossties, Cypress Mulch, Hardwood Mulch - Thompson Hardwoods, Inc.
A rectangular hardwood support for the rails in railroad tracks. Generally laid perpendicular to the rails, cross ties transfer loads to the track ballast and sub-grade, hold the rails upright, and keep them spaced to the correct gauge. The untreated green crossties are manufactured to the Railway Tie Association (RTA) and the American Railway Engineering and Maintenance of Way Association (AREMA) standards. 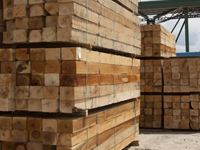 Thompson Hardwoods, Inc. manufacturers all 6” Grade & 7” Grades of cross ties as well as 6” and 7” Industrial Grades of cross ties. Railroad cross tie shipments can be accommodated by truck or rail. Learn more about Railroad Crossties. A railroad switch tie is generally in 10’, 12’, 14’ and 16’ lengths for use at railroad turnouts or crossovers. Generally railroad switch ties increase in length from the switch point to just past where the turnout ends. From that point, two standard tracks continue. Thompson Hardwoods, Inc. manufacturers all 7” Grades of untreated green switch ties. Railroad switch tie shipments can be accommodated by truck or rail. 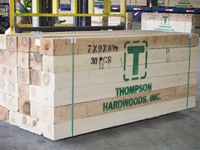 Thompson Hardwoods, Inc. has hardwood stock and crating lumber for your pallet and crating needs. 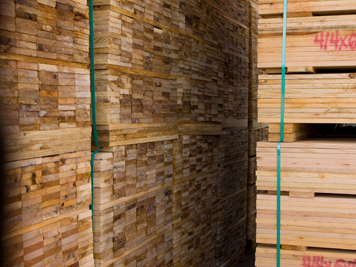 Our hardwood lumber stock can be used for crates, pallets, boxes and more. Various thicknesses, stock industry widths and various lengths are offered to suit customer pallet and crating requirements. Thompson Hardwoods, Inc. can offer custom architectural and industrial hardwood timbers of 8’ up to 40’ lengths to meet customer’s needs in various southern hardwood species. Contact our team to discuss your specific Our custom architectural millwork and mouldings needs. Thompson Hardwoods, Inc. has been a major supplier of domestic and export hardwood and pulp chips for decades. We offer drum debarked chip to meet various pulp customers chip quality specifications. Deliveries can be made via truck or via rail, having the capability to handle up to a twelve chip rail car storage on Norfolk Southern rail. Export chip shipments can be made from the Port of Savannah, Georgia. 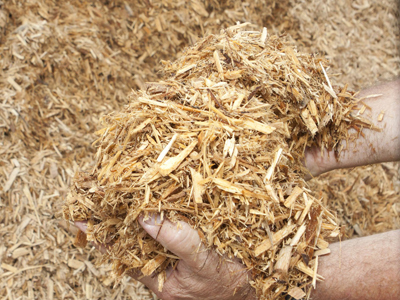 Thompson Hardwoods, Inc. offers bulk shipments via truck of shredded Cypress bark and wood ground cover mulches. 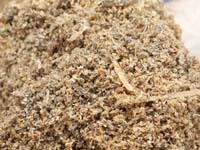 Also available is shredded Red Oak or Mixed Hardwood bark ground cover mulches. Our Hardwood Mulch is manufactured with high quality raw materials and we strive to provide you with the same quality mulch each time you place an order. 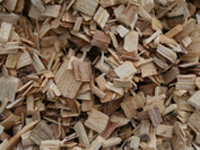 Thompson Hardwoods, Inc. offers clean Cypress sawdust which very desirable for potting soil applications. Potting soil can help retain moisture and nutrients as well as assist in draining excess water.